This shot was taken sailing past the Hamilton Steel Works on Saturday. 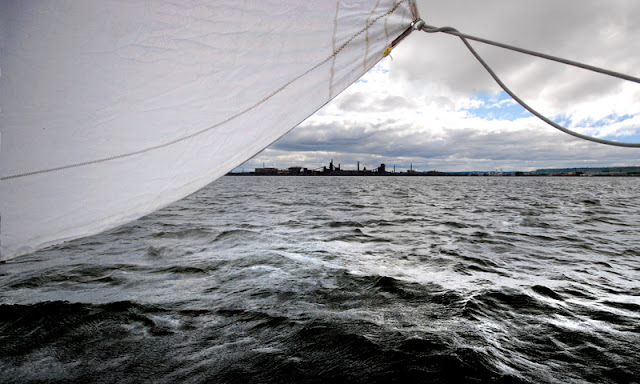 The headsail in this picture is a Jib—we had to take the Genoa off as we blew out the seams on the leech (back part of the sail) Friday when the wind was gusting up to 50 knots. Lucky for us we had this unused Jib that we hitched up to the furler and from there on it was plain sailing—literally.